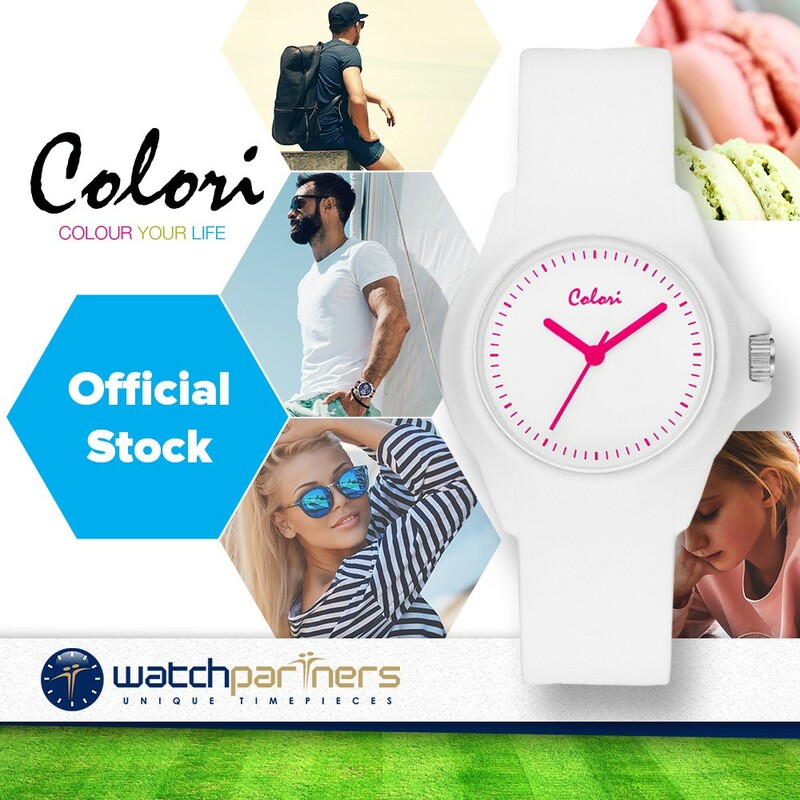 The Colori White Summer Watch has a really funky minimalistic appearance. Dimensionally the timepiece has a diminutive 36mm white Polyamide case size. 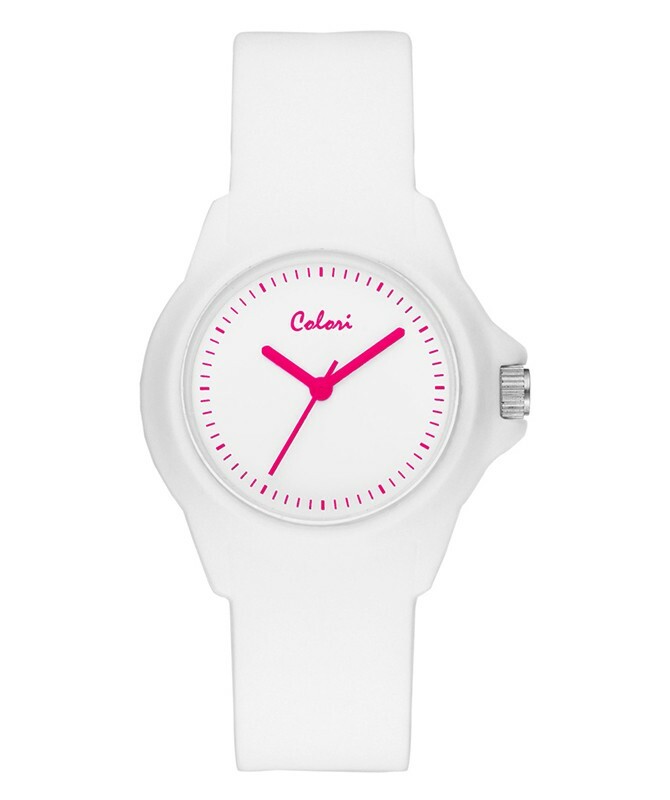 What makes the watch so appealing is the ice white dial with contrasting pink markers and hands. Beneath the cool exterior is a Japanese made Miyota quartz movement.